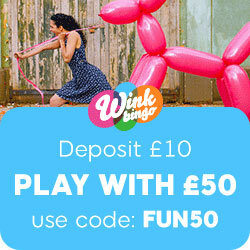 It is not long now until Christmas and when those risk free games will come out to play across joy of bingo sites and these will include Red Bus, Bingo Street, Posh, Tasty and of course Wink Bingo. Risk free bingo brings you exactly what it says on the tin, and that is the chance to win real cash prizes with no risk to your own cash. Up for grabs in this risk free offer from the joy of bingo group is £1,500 worth of jackpot prizes and they must be won. In total five risk free games will take place, each at one of the above sites. They will kick off on boxing day and play one game per day, per site and this is how it will all pan out. Now you do need to purchase bingo tickets for these games, but these will cost just pennies and the beauty is if you do not win you can get all your stakes placed back, depending on how many of the risk free games you take part in. Play all 5 and don;t win and you will get all your money back – And if win you are going to be quids in anyway, so you just cannot lose. This is a great bingo offer from joy of bingo and is sure to brighten up the Christmas festivities for some. Let’s not forget either that on Christmas day a £5,000 secret Santa game will be coming out to play at Wink Bingo and on New Years day they have a brand new 1.6 mini cooper car up for grabs. There promos, just go on and on and on. This entry was posted in Bingo Blog and tagged Wink Bingo on December 22, 2011 by Emma.